The Alliance for Bangladesh Worker Safety says it is working on a plan to hand over responsibility for its affiliated garment factories to the country's government in 2018, and has revealed around 63% of remediation work has been completed to date. Speaking on a conference call following the publication of the Alliance's third annual report, country director Jim Moriarty highlighted the work the group of North American brands and retailers has been undertaking to improve safety in Bangladesh's ready-made garment factories, from worker empowerment to training and building safety. He added that by 2018, the Alliance will have achieved much of what it had set out to do, but questioned how this will be sustained going forward. "We are in conversations with all the key players, the government in Bangladesh, the industry in Bangladesh, the workers themselves, various NGOs, trying to figure out exactly how we keep this good work going. We are not completely there in terms of what we think the best solution should be." Moriarty said the brands are playing "an important role", given they are ultimately sourcing from these factories. Therefore conversations, he says, are ongoing. "We are looking at a way to make sure not only the future factories that come up, or indeed the factories we have already remediated, remain safe, and to ensure there is a culture of safety with respect to structure, and fire and electrical, but also to make sure they know how to spot things, that they have a way to deal with those dangers and get effective results. "We're not completely there yet but this is something we are spending a lot of our time on right now – working with key players to come up with a very strong transition plan that will keep the remediation work going but also to keep the worker empowerment going, going forward." To date, the Alliance says 63% of all concerns identified in active factories during the inspection process have been remediated, while around 55% of the high-priority remediation works are complete. The disclosures were made in the annual report published yesterday (6 October), which also revealed around 40 factories have "substantially" completely their corrective action plans (CAP), essentially graduating from the Alliance programme. The Alliance Helpline has received an average of 4,200 calls per month and nearly 90,000 calls in total since it was established. The Alliance was formed following the Rana Plaza building collapse in April 2013 as part of a five-year commitment. To date, it has inspected over 700 factories, focusing on the most costly and time-consuming improvements, namely importing and installing certified fire doors, installing sprinkler systems, and reinforcing structural beams and columns. "Significant remediation is now underway in all the active Alliance factories, and those unwilling or unable to comply are suspended and removed from our compliant factory list," the report noted. Indeed, to date, the Alliance has now cut ties with 97 factories, the most recent last month. "By July 2018, all Alliance factories will have either completed their high-priority repairs or have been suspended from the Alliance's list of suppliers," said the Honorable Ellen Tauscher, independent chair of the Alliance. "Progress toward this goal has been significant, and achieving closure on the remaining issues most critical to life safety remains our primary focus." The Alliance says it is "ramping up" its programme, launched in April, to establish Worker Safety Committees – groups of workers trained and empowered to monitor on-site occupational safety and health issues. The number now stands at 54, and committees will be operational in a majority of Alliance factories by July 2018. "Achieving safety in factories is about more than completing repairs," says Moriarty. "It must be accompanied by comprehensive efforts to inform, engage and empower the women and men who earn their living in garment factories. "As we look toward 2018, we recognise that our work is far from over. We are focused squarely on continuing to remediate factories, and we are working with factories to continue to prioritise the highest-priority repairs." 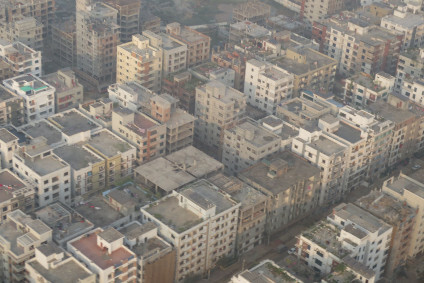 Safety, however, continues to be an ongoing concern in Bangladesh. Only last month, labour rights groups were calling for garment factory safety initiatives to be extended to cover boiler safety, after at least 31 people died when a boiler exploded at a packaging facility in Bangladesh. According to local media, between 100 and 250 workers were present at the time of the explosion and, in addition to the fatalities, as many as 70 people have been injured. Following the explosion, the Alliance said that because it was not a ready-made garment factory, the packaging plant was "not aligned with any current safety initiative – which speaks to why factory safety reform is needed across all industries in Bangladesh to ensure every worker is protected". There were also scares during the summer for foreign visitors after a terrorist attack killed 20 people – many of whom worked in the country's textile and clothing industry. Siddiqur Rahman, president of the Bangladesh Garment Manufacturers & Exporters Association (BGMEA) told just-style, however, that business continues as usual in the country, despite tightened security and wider fears of a long-term impact on the sector. Are Mexico’s maquila labour rights worsening?